My name is Mario Champion. and I'd like to help you make something great. get thee to the resume! Solving prioritized customer problems and generating real opportunities in a Big Picture made of evolving Little Pictures. 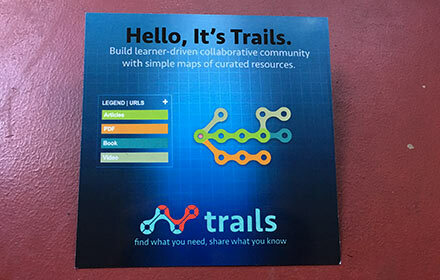 Leading nimble, cross-functional collaborations to guide teams among the dynamically shifting timelines and resources to focused, creative, and useful strategies. 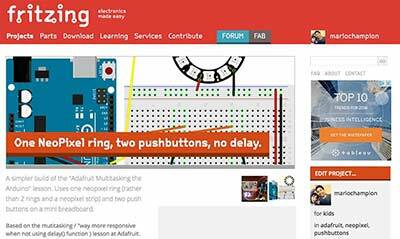 Deeply experienced in both creative and tech teams, across all aspects of product development. Bringing often divergent team missions to a focused solution via user-centered research, development and feedback in a creative, design-thinking context. 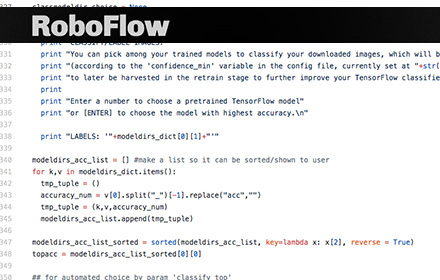 RoboFlow is a semi-automated TensorFlow image classification explorer in a python command line app. 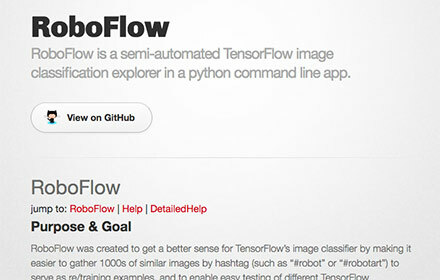 RoboFlow was created to get a better sense for TensorFlow's image classifier by making it easier to gather thousands of similar images by hashtag (such as "#robot" or "#robotart") to serve as the neural networks' re/training data, and to enable easy testing of different TensorFlow hyperparameter settings for creating classifiers. Specifically, tagged images are downloaded in bulk and then sorted, according to a 'confidencemin' variable, into dynamically created directories, which are periodically 'harvested' to retrain TensorFlow to create new classifiers, allowing easy experimenting with various retraining parameter permutations to increase the accuracy. 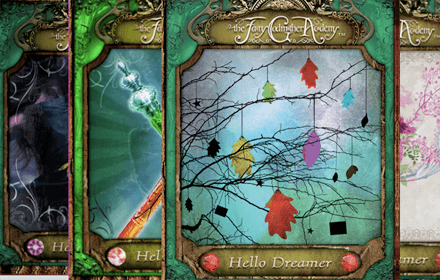 In this cyclical loop, the classifier gets better and better at identifying and sorting. 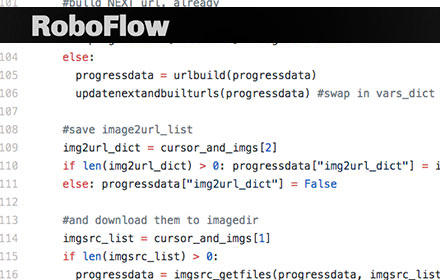 This results, at some point, in RoboFlow's ability to be a semi-automated self-improving image classifier, depending of course on your ability to bootstrap initial high-quality images and to keep them as such with periodic quality control. Contributions and Pull Requests welcomed! 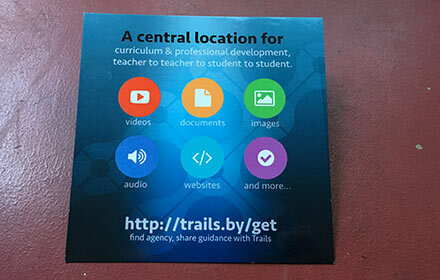 By connecting people and knowledge, the Trails platform makes learning and teaching easier, more joyful, more social — more like what progressive teachers desire for their learning environments. 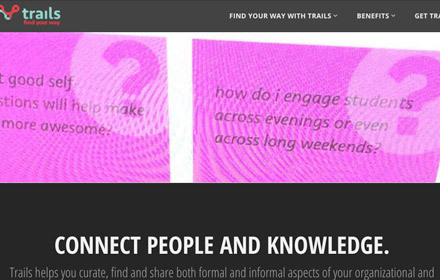 The Trails platform features simple and engaging resource maps, public and private groups, threaded discussion, questions, digests, and more. 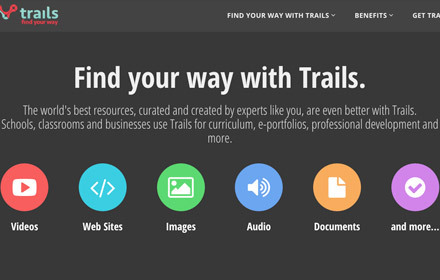 Trails is a modern way to transform your organization into a collaborative, learner-driven community, providing an innovative platform to visually curate, find, and share resources, and, in the process, build a community around learning and knowledge. 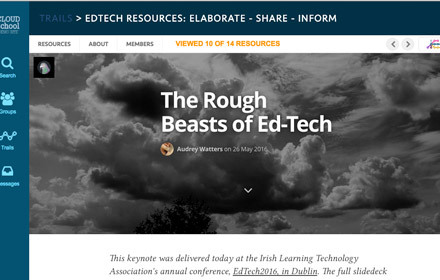 Resources include websites, pdfs, google docs, youtube, vimeo, your uploaded files and pictures, Open Education Resources, and much more — pretty much anything that’s viewable in a web browser. Specifically, as co-founder, I created the core ideas and primary intellectual property, am the named inventor on three granted patents,, set the product and feature roadmap, coded a boatload of bundles within a symfony/ ubuntu/ nginx/ php/mysql platform. I also met with prospective and existing clients, did so many demos and trainings at tradeshows and with customers at their sites, wrote marketing copy and more. I served primarily as product team lead and manager, which could also be called product owner, wrangling the priorities of competing feature requests and developer resources in an agile/lean workflow, managing priorities and calendaring of Assembla tickets and Github pull requests, including QA from testing to staging to production servers from several developer's VMs. 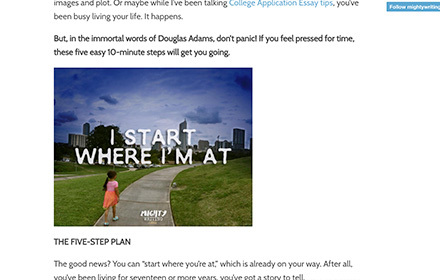 For the launch of a College Application Essay coaching and writing consultant online endeavor, I engaged in brand development, including generating the name, logo, and marketing copy, as well as providing editorial imagery with original photography and Tumblr theming for MightyWriting's online tips. I also maintain their social media sites, including cross-promoting content and ad buys on facebook and twitter. 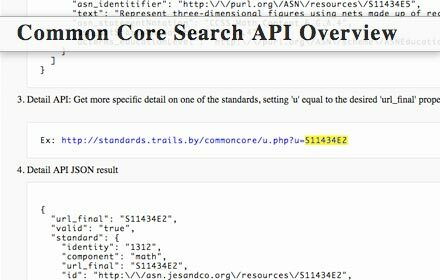 The users of Trails desired to tag their resources with standards from the Common Core, but there was no API-able mechanism to do so. Therefore, I scraped the open data, built several middleware scripts to restructure it in a new database, built the API endpoints, then documented and made it all available under Creative Commons Attribution license. 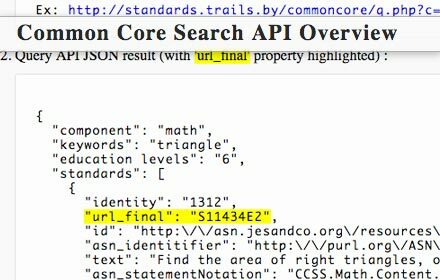 Developers can utilize two REST APIs to search the Common Core standards by grade and/or keyword and/or component, with a JSON object result. 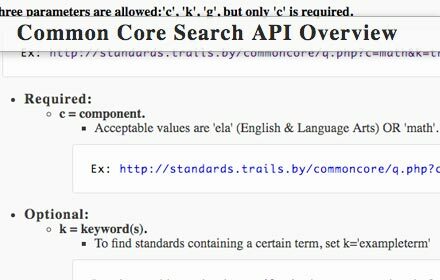 There is Query API to search for summary information of matching standards, and the Detail API for extended information on one specific standard. 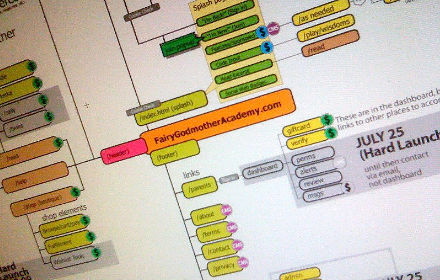 Documentation includes the complete cycle of a query call, result, detail call and detail result. 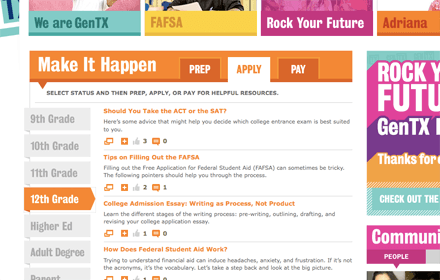 For the development and launch of Generation TX, I worked as a consultant to Milkshake Media, serving in a variety of roles centered around launching an online and offline movement to create a "Career and College-Ready Culture" in Texas. 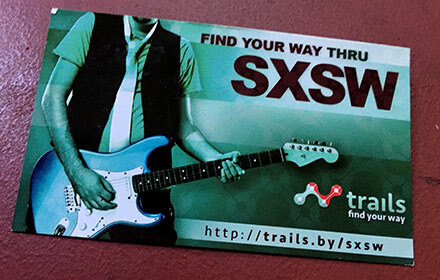 Specific duties included initial strategy and development for a state-wide field organization (launching in pilot markets of San Antonio and Fort Worth), development of custom tech tools to manage/classify/view contacts and resources, researching/reviewing/interviewing tech partners/solutions and, for the website itself, both architecture/strategy and extensive hands-on development and coding of GenTX.org in php, mysql, jquery, ajax, css, html, Facebook connect, shell scripting, and custom WordPress / BuddyPress plugins. 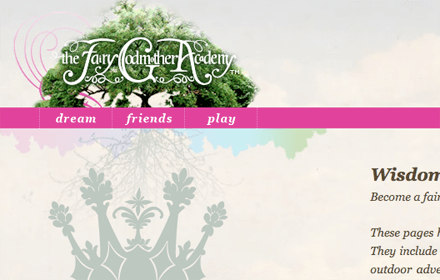 FGA Media, Inc was a startup developing a trans-media 'life-style' brand for tween girls, rooted in the Fairy Godmother Academy book series published by Random House and the companion website. My range of duties was quite varied, including leading, approving, developing and directing creative, technology, social media strategies for the company as a whole, as well as working with team leads to schedule and budget as a project manager. Being a startup environment, these roles were as much doing as delegating, adjudicating as creating. 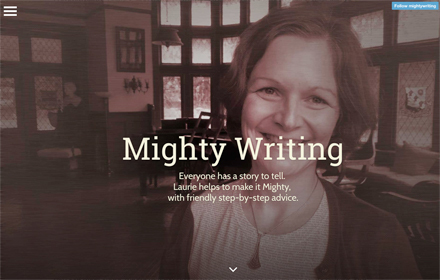 Besides being the website's Executive Producer, highlights include developing, naming, structuring 'Wisdom Cards', guiding toy/product development, and owning the major transformation of our Series A Investor Deck. 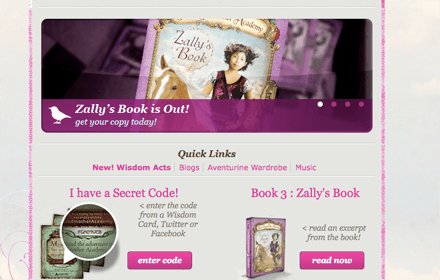 A "hip & wholesome," parent-friendly, uniquely beautiful website designed to build a perpetual online and offline community of tweens and parents into "a cultural force for good." 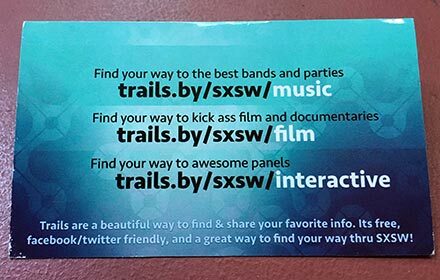 As Executive Producer, I guide, approve and contribute to all aspects of the site, including design and tech team brainstorming sessions, conceptual/visual/UI/UX designs, online & offline 'Wisdom Acts,' staffing, budgeting, scheduling, and adapting to timeline and investor needs and expectations. This was a fairly fast project — about 6 real months of live site development and production — with a team of 4-6 designers and a 2-3 contractors for Flash and back-end dev. 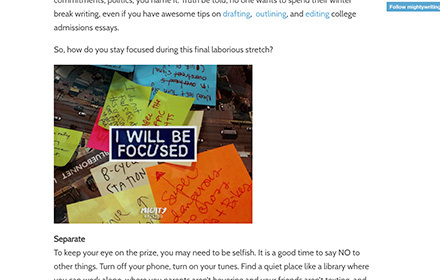 There are many broadly-reaching lessons learned in political campaigning. 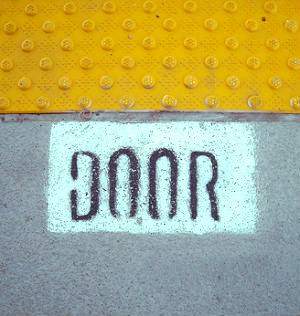 The short version: I am extremely comfortable leading and balancing in a 'guide and go with the flow' environment. That is, balancing leadership and collaboration, understanding the changing pressures and budgets, the value of trusted collaborators, the static and evolving data-points, the value of clear strategies, and the quick, some would say 'agile', value of doing-then-improving. As treasurer, I was legally responsible and entrusted with hundreds of thousands of dollars -- and the double-edge of deciding which projects we will pursue, and informing those we will not. At Turn Texas Blue, we balanced our strategies between tried-and-true and more experimental projects. For the Travis County Democratic Party's Coordinated Campaign, I served as director of technology, covering many roles to convert a 10,000 sq ft warehouse into a working campaign and volunteer HQ. 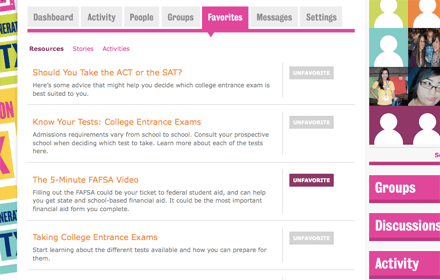 Tasks ranged from installing and maintaining multiple DSL-powered wifi spots, to developing onlinephonebanking.com tools, creating custom data input and tracking tools for the biggest county convention in the nation, customizing a soap-blox powered community site, enabling a textmarks.com based text-msg system, building a google-map to voter address mashup, and writing custom scripts to convert FILEMAKER to MYSQL to CSV output. 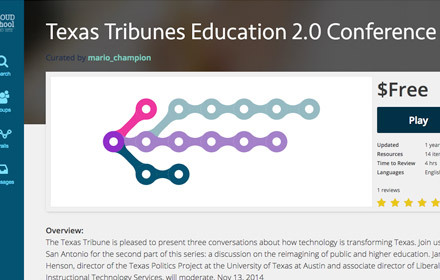 Starting in Nov. 2006, I helped lead Texans For Obama (a 2008 Austin Chronicle Best of Austin winner) from a fledgling book club into the online community and offline grassroots organization that played a critical role in delivering Texas for Obama. 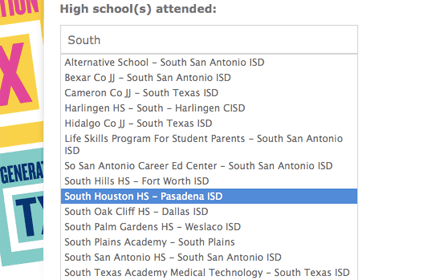 I designed, developed, and coordinated TexansForObama.com, extending a soapblox-based community blog with a volunteer and data system which recruited and organized tens of thousands of Obama supporters statewide. GridBloc, an original casual, social game developed in 1999/2000 that spans play between desktop/laptops to mobile devices, scaling presentation to the platform, and earned two patents and a SXSW/Texas Interactive Media award. Unfortunately, our offices and the two game servers that backed each other up were destroyed in a fire. As it was conceived literally as "a game you could play in the dirt with a stick," (so that it could be WAP compatible) you can still have fun playing it offline. From 2003 to 2009, I built many one-off and short-lived political organizing and campaigning tools. I also spent a couple of years running political meetings, moderating candidate debates and caucuses, and flat-out standing in crowds registering people to vote. I organized my way to get elected as one of about 7000 National Delegates attending the convention in Denver in Aug 2008, and I earned an actual, seated Silver Ticket to Obama's Inauguration. 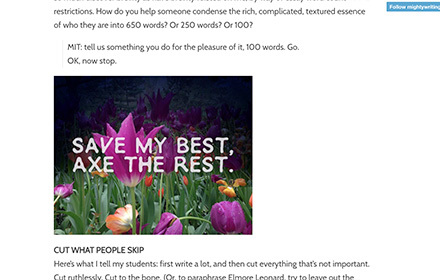 Here are a few of the sites worth talking about, if you are so inclined. 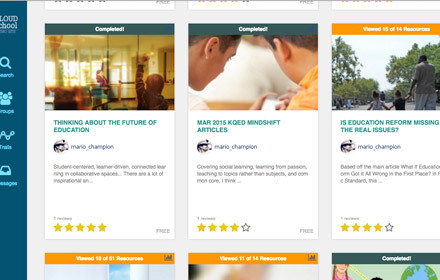 "If you want to understand influence, you must understand community." For more than a decade, I have been applying my strengths toward educational, political, cultural, and entrepreneurial missions — all of which revolve around building and organizing communities and cultures. I am always happy to discuss the role community plays in these missions. The short-version: authentic community is self-perpetuating, and the single biggest influence on people... and mostly not online. 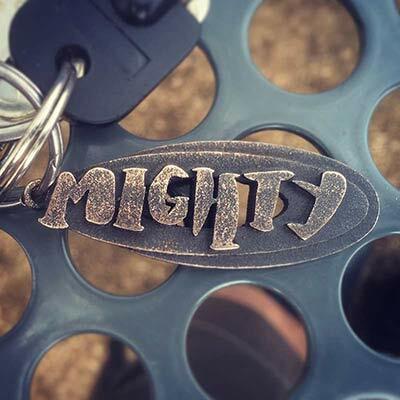 A Mighty keychain. Hand drawn "mighty" scanned in Adobe Capture on ipad, tweaked in Illustrator, exported as SVG to Tinkercad, added background ovals with thinning profiles. Black metal 3d print with Shapeways. 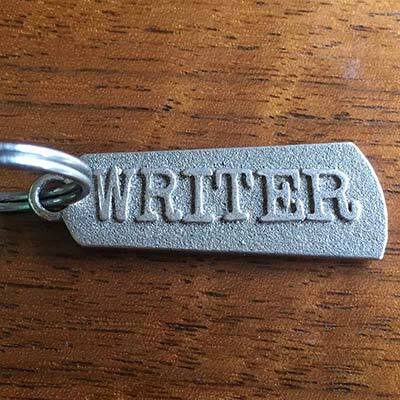 A MightyWriter keychain. Hand drawn "WRITER" (check the different "R"s) scanned in Adobe Capture on ipad, tweaked in Illustrator, exported as SVG to Tinkercad, added background and ring hoop. Metal 3d print at Shapeways. Trust Happy Day. 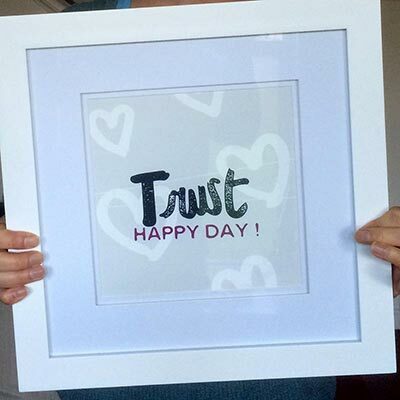 Hand lettered "Trust" and hearts, "happy day" from a label maker, all digitized and tweaked with Adobe Capture and Draw on ipad, and layered up in Photoshop, then printed on paper from Finerworks. 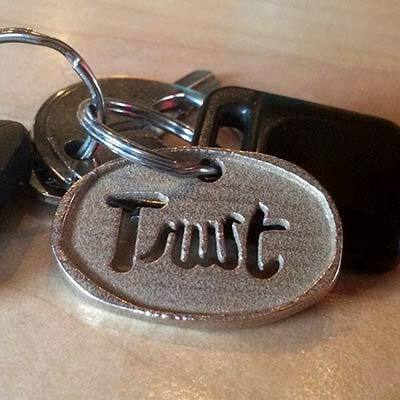 Trust the keychain. Same "Trust" digital file, tweaked to make pendant via Adobe Draw, exported as SVG from Illustrator, opened in Tinkercad to export to Shapeways for 3d print in metal. Elseplace cover design. 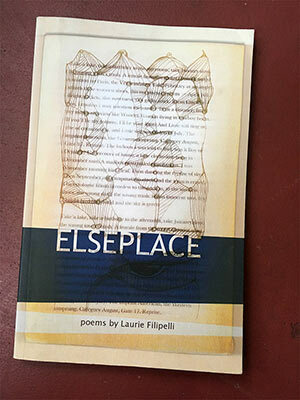 For Laurie Filipelli's first book of poems Elseplace (published by Brooklyn Arts Press), I designed a cover layering elements of the book text with a drawing from fellow Austinite and friend Alejandra Almuelle. 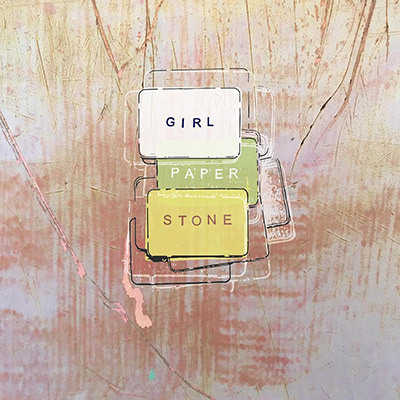 Girl Paper Stone cover design. For Laurie Filipelli's second book of poems published by Black Lawrence press, I created some "Tarot" like cards for Laurie to use during public readings, Adobe Captured them, assembled mostly in Draw and then finished in Illustrator with a background image I captured of a utility box. 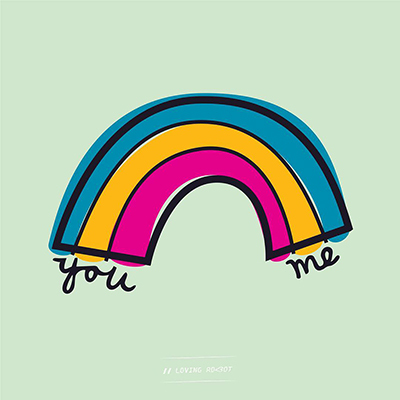 You Me Rainbow Just a colorful giftable rainbow to remind you why we do this thing. 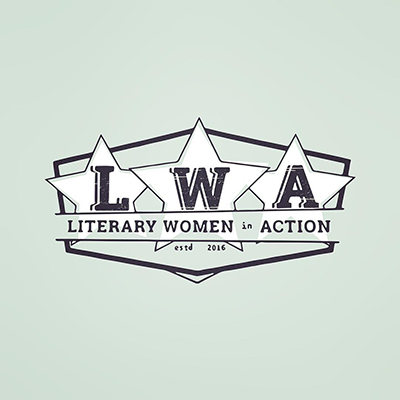 Literary Women in Action (estd 2016) tshirt logo. Another little Adobe Illustrator, printed, Adobe Capture(d) to smooth it out and taken into Adobe Draw to tweak and grit it up. final tweaks in Illustrator, then printed on a shirt. 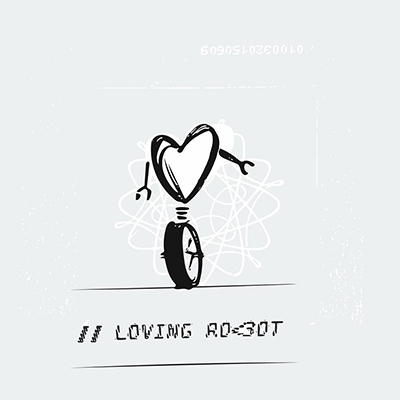 LOVING RO<3OT loves you. A couple of layered drawings and captures in this one. Text is processed from a picture of a code comment, pixelated in Photoshop, digitized in Capture, tweaked in Illustrator, all compiled in Photoshop. 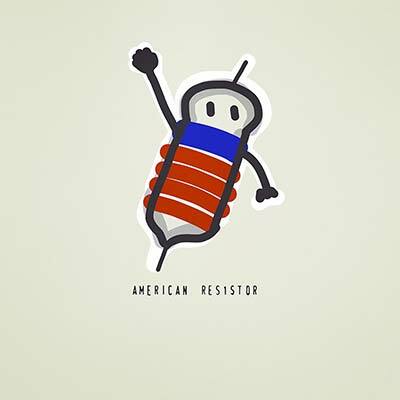 AMERICAN RES1STOR.I think this my next tshirt for the upcoming science march, altho it is terribly cute. Hand stamped lettering, finger drawn (of course) on the ipad in Adobe Draw, very minor tweakage in Illustrator. 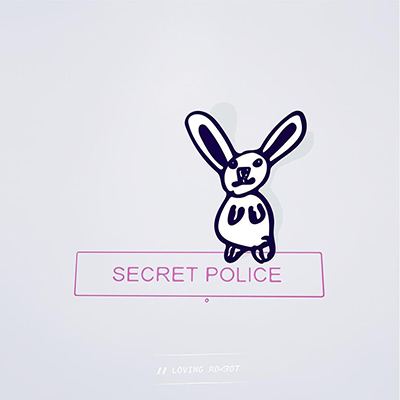 Secret Police. It is always fun to add some Capture/Draw tweaked label-maker "secret police" text to a likewise Capture-scanned doodle from my then 4 year-old daughter. Buntitia. Designed with my young daughter, I did most of the driving in Tinkercad as a way to get her to think nothing of 3d modeling and printing with Shapeways. Hoppy Mother's Day. 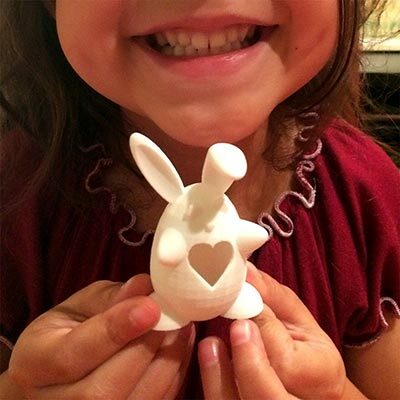 A variation of the Buntitia 3d print seen earlier, only with a sign in her hand. 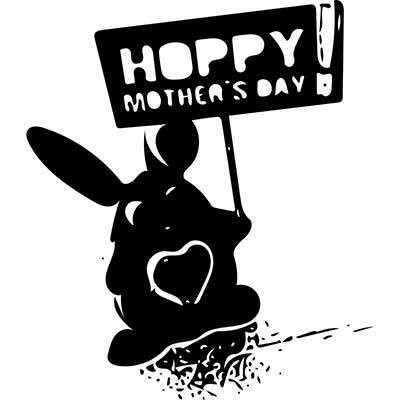 This image was created by Capture-scanning the printed 3d model for use in a Mother's Day card. Buntitia Backpacker. A smaller 3d printed version of Buntitia with an integral hoop for hanging on a backpack, as seen here. 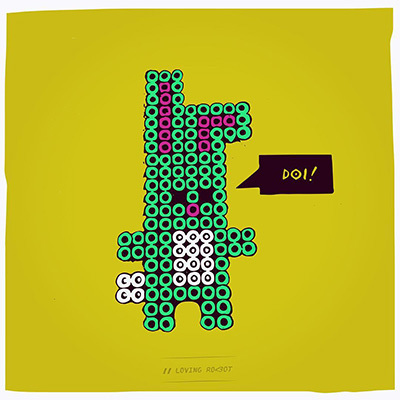 I Bunny You. 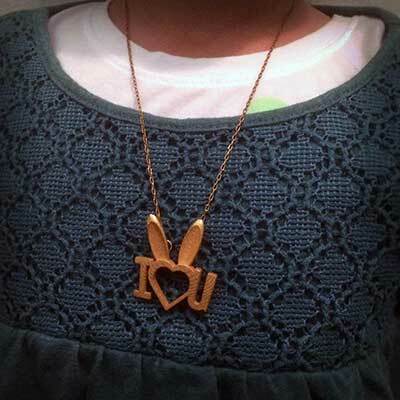 A 3d metal print from Shapeways of a pendant co-designed with my daughter as a birthday gift for her fellow bunny-loving friend. Marathon Medal. 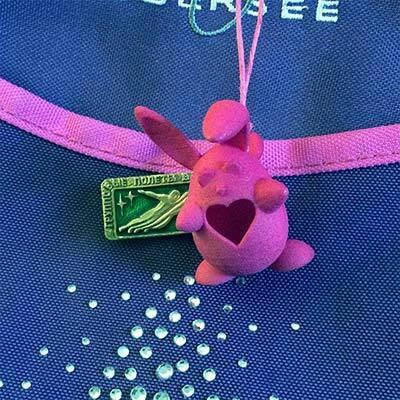 A backpack pendant to commemorate my daughter's first "accumulated" marathon at school. 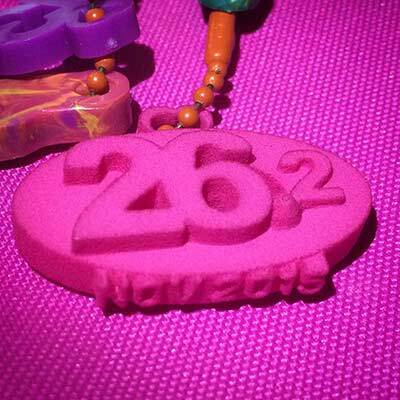 Designed in Tinkercad, printed in flexible plastic at Shapeways. 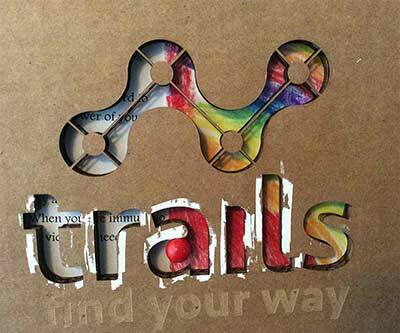 Trails logo lasercut cardboard. Experimenting with the laser-cutting at Ponoko, this 8x8 cardboard square was a simple gray-scaled version of the logo in Illustrator. Color via whiteout tape and pencils. Appointed in 2015 by City of Austin Council Member Ann Kitchen (District 5, head of Mobility Committee). moving people, not just cars. As a member of Project Connect's Multimodal Advisory Committee, I work to be insightful about data, assimilate varied stakeholder inputs, and to encourage public participation in the planning process which shapes Capital Metro's high-capacity transit vision and efforts. Served two terms (Jan2014-Dec2015) as President for the South Lamar Neighborhood Association. 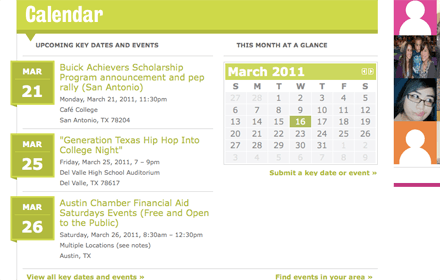 Proudly co-organized the support for Foundation Communities' Bluebonnet Studios affordable housing development. Starting in Nov. 2006, I helped lead Texans For Obama from a fledgling book club into the online community and offline grassroots organization that played a critical role in delivering Texas for Obama. Served as president of group of folks committed to engaging citizens in the political process, with a focus on how from school board to city hall to the White House, politics affects your everyday life.